Standing up to 8 feet tall the Alien Warrior can be almost easily identified by it’s ridged skull and bladed tail. These fast-moving and stealthy creatures were first seen in James Cameron’s film Aliens. 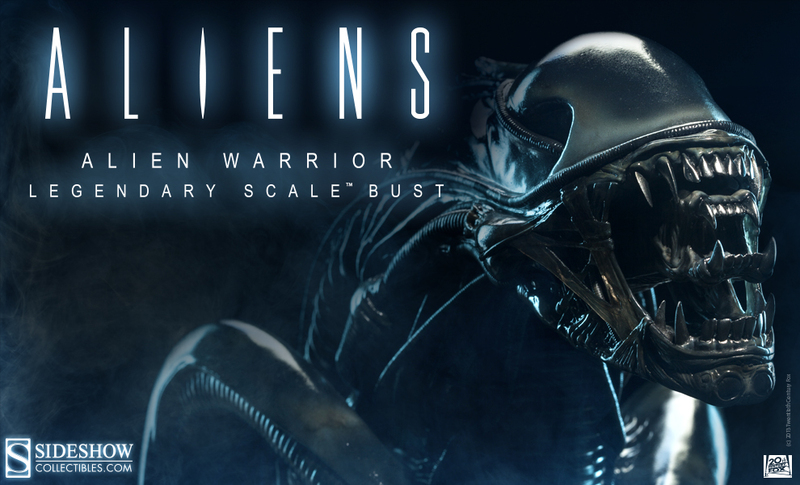 Sideshow Collectibles’ Alien Warrior Legendary Scale Bust is the latest collectible in our line of Alien, Aliens, and Aliens Vs Predators pieces. This latest Bust will be available for Pre-Order on Thursday, October 24th, 2013!